Rainbowdorable by Auzola | Indonesian Beauty Blogger: Why and how i became a beauty blogger! GREAT NEWS FOR ALL INDONESIAN BEAUTY BLOGGERS! Our dearest senior beauty blogger, Carnellin, Tia and Meilani successfully in making a gathering which is specially for Indonesian Beauty Blogger! Wohooo! The first beauty blogger gathering from beauty blogger for beauty blogger i guess! FUN! 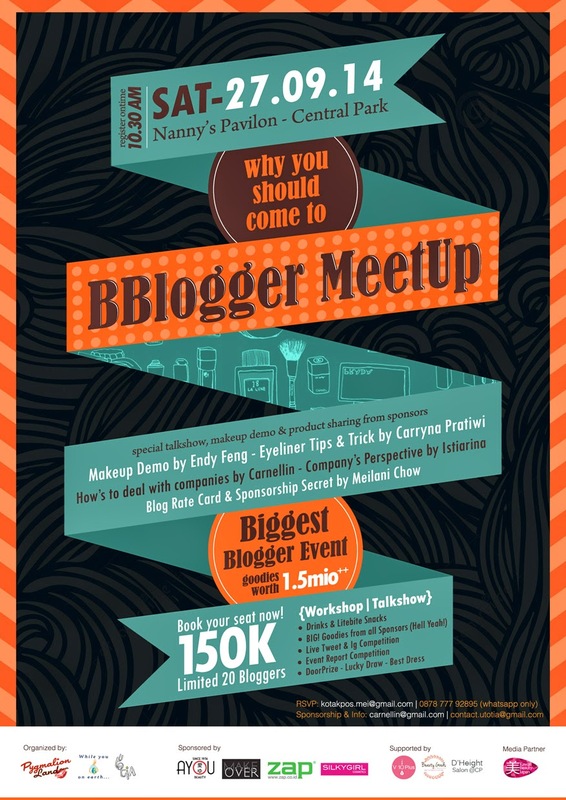 So the event will be held on Saturday, 27 September 2014 at Nanny's Pavilon, Central Park, Jakarta. Why it would be so special then? Seriously, these three senior bloggers are super awesome that they can make this HAPPEN. Plus, it's not only for nonsense talking, but it has a lot of benefits, where bloggers can sharing their story, blogging problems, how to overcome the problem and stuff. PLUS, they have this special talk show, makeup demo and product sharing from sponsors! Wohoo! Wouldn't that be GREAT? Then, there's another talkshow from Meilani about sponsorship, hihihi every blogger gonna want to be sponsored trust me. Then they have our super cool senior blogger who also MUA that will have a makeup demo, the one and only, Endi Feng. Also, there will be a eyeliner tips and tricks from Carryn. This can't be missed for sure. 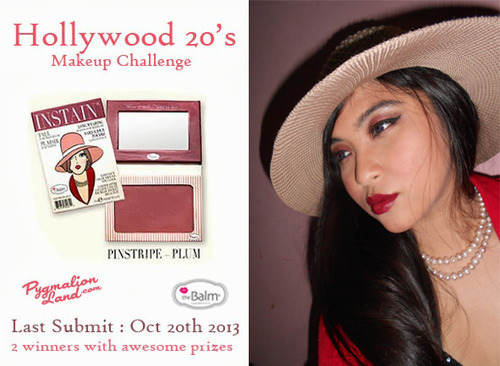 Knowing more tips and tricks for make up is another benefit for me as a beauty blogger, im soooo ready for this event! Plus, who could resist all the products offered by the sponsor?? I'm not gonna lie, it makes me drooling hahhaa. And, you should know why I'm so sure that all the sponsor gonna offer a really great products and services, that's because this event is sponsored by them! See, no wonder I told you that the products and services offered are gonna be mouth drooling, right? Thanks for our amazing Carnellin, Tia and Meilani who successfully at making these companies as our sponsor. Anyway, today's post is about "why and how i became a beauty blogger". It is an pre-event writing competition that held to make this gathering even more exciting. Conclude this as an opening celebration of the gathering next Saturday! Hehehe. I'm joining this simply because I want this to spread more about this event to all of you guys! And plus if I win, that's gonna be a benefit for me and i will think of it as an early bday present! Hahaha but, if I don't, that's okay too, because all I want is for this event to be held flawlessly and I'm hoping we could get even more sponsor! So spread it loud, spread it proud! Sorry for the really long opening speech and event introduction, now back about me. Why and how i actually became a beauty blogger?? It gonna take a lot of emotion though, but i'd love to share my journey once again. So, since I was in SHS, I already have this excitement towards makeup. But back then i only do dark, gothic makeup since it suites my personality real well back then (hahaha). Even though i love to try to pun on makeup, I never really wear it outside as I was quite shy. Seriously, I didn't even wearing lip balm outside. I dont have my own makeup as well back in that day. I took some of my mom's old makeup and trying to apply it on my face at night, when everybody was asleep. I didn't want people to find out while i was doing my makeup somehow, it was embarrassing to me. Maybe that's because i never actually wear a makeup and my mom doesn't really teach me how to. Plus she encourage me not to put on makeup since she believes that chemical on makeup can ruin my face sooner or later, especially since I was still a little girl so it can really ruin my skin (seriously Mom always thought of me as a little girl even though I was already in SHS). But i found that makeup is something that can make you to be something else and with makeup you can get a look that suit your personality or mood at that time. You can be ANYTHING! I found makeup is A-M-A-Z-I-N-G. But still, I need to tell you the truth that I'm comfortable enough with my own skin and normally prefer going out without makeup, up until this day. Don't get me wrong, I DO love makeup but I love to be comfortable more. Anyway, back in the day i learn how to put on eyeliner, winged eyeliner to be exact, because most of the dark gothic look will have that super cool winged liner or a deep smokey eyes. I was SUPER CURIOUS on how to make a smokey eyes like that! But then again, I wasn't aware of makeup tutorial at internet, that makes me literally learn without any guide. I didn't even know which one is eyeliner, or eyebrow pencil, or can i make eyeshadow as a eyeliner, or something basic like that. I seriously spend sometimes learning by doing blindly, but hey, I could make a winged liner on my first attempt (even though it wasn't perfect), still, it was super! LOL. Unfortunately I don't have my very first winged liner attempt picture. But I do have some old pictures of me tried to put on makeup on my face hahhaa. Seriously, when I look at my old pictures again, i though "gosh! it was a mess!" hahhaa. I LOL'ed at my self hahhaa. Seriously though, I didn't even know that there are so many thing to put to get a flawless complexion (but that wasn't really necessary back then since my skin was still quite flawless without this stubborn acne scar that i have now). I didn't know anything at all. I didn't even know why my eyeshadow was so un-pigmented that I couldn't really put it on my eyelid well (now I know i need primer for my oily lid or else eyeshadow wont stand a chance). I had a little knowledge back there, even it was only basic. But I keep on trying to put on makeup at night when i had a chance and braved my self to post it on facebook. Seriously i was so happy when people said that it was good. On college, I learned that there's foundation to make my face even more flawless, not only compact powder. I also got my very first lipgloss and lipstick on my third semester at college if I'm not mistaken. Still I wasn't sure what I was doing, but i keep on doing it anyway. I know i can be good at it. Then also, at semester 5 or something I started to interested in skin care (idk why, but my hormones keep on making my face full of acne, plus i started to have acne scars, it freaked me out). I started to buy Aztec Indian Healing Clay, Tony Moly and stuff. 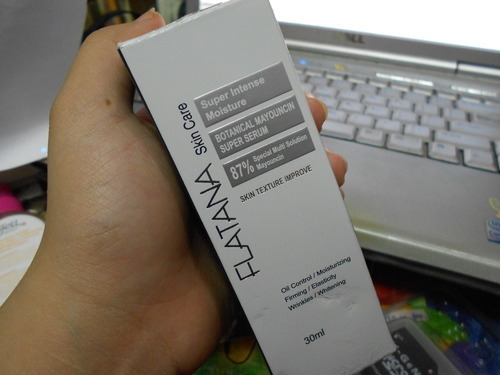 Then one day i was stumble on another korean skin care, Flatana. I came to the website, it was fully korean, I don't understand for sure. So....one day, when my family gathered together at my house (i live in grandma's house, so all of the family will gather here), one of my cousin showed up with full makeup (bb cream, false lashes, liptint, yadda yadda). Everybody was like "woooww", yeah they probably shock because before went aboard, my cousin never use makeup and tend to look messy daily, like me. But she came back that day to Indonesia full makeup, new hair and stuff and suddenly all of the family loses their mind. I was happy for her, seriously, she finally felt confidence with herself. But, i wasn't really lucky with all that changes she had. Because I'm the oldest granddaughter in my family, my aunts started to mocked me (i didn't see any correlation though, but that happened) like "why you never use makeup", "you can't use it huh? ", "you're the oldest you should take care of yourself", "you need to be prettier", blablabla. Deep in my heart I was like "wuuut??? i have use makeup since before she started to use it", i remember they even admired my makeup back then, have you forgotten huh??. Plus, I also put on some makeup, like eyeliner and lipstick, when I go out sometimes or when I'm in the mood (yeah I apply it in the car, but still, i USED IT). Seriously that's weird, i mean why i should put on makeup at home??? Can't I feel comfortable in my own skin that they need to tell me I'm ugly without it or I can't do it (but this pissed me off, no wonder many girls can't seems to be happy with themselves, lack of self esteem, feel ugly all the time, stressing about their look and stuff. Even the family gave them a serious judgmental comment with negativity). 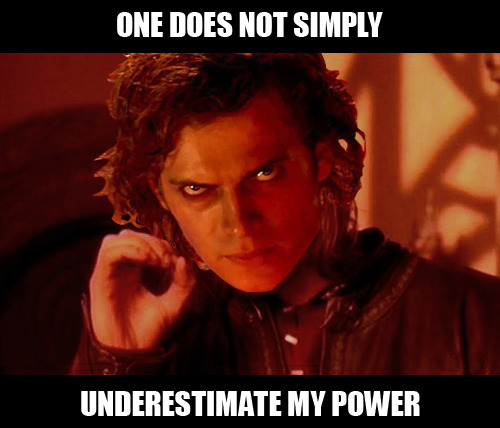 Seriously dude, you underestimate me. I CAN DO IT, the thing is, do i want it or not. So short story, they keep on pushing me. UGH! But I'm not that kind of person who want to get pushed. I wanted to prove my self to them who underestimated me without have to use makeup all the time without my consent. And probably sharing my makeup look to facebook wasn't enough. I need a place where i can share about my makeup look and stuff, blog seems like a nice idea. Unlike the other two reasons above, this one was actually a nice reason hehehe. Idk how i finally stumbled on Indonesian Beauty Blogger facebook page. I saw so many girls that share the same passion in one place, it surely made me happy, like "Oh! I finally found it! I guess i belong here somehow!" I started to make a post on my old tumblr (www.auzola.tumblr.com), I tried to review my Aztec Clay and my fave Dove hair serum. I actually didn't really know how to make a good review, what point i should mention or whatever, but i had this good will that i wanted to make my post useful, so i told everything i knew about the product and the benefit i felt. Then i shared it on IBB, it was kinda weird at first, I was afraid nobody would like to pay a visit. But some members like my post! I was so happy, even some commented on my fb post that they want to leave a comment on my tumblr, but they didnt know how to hahhaa. I was so happy seriously. Then i found Ce Meilani makeup contest ft. The Balm ID, idk what i was thinking but i seriously brave my self to join the muc. My FIRST MUC EVER! 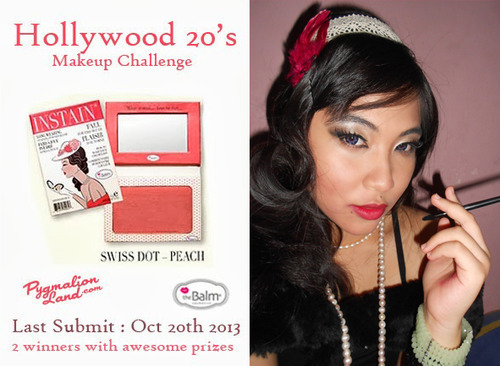 The contest theme was #Makeup20s and i had to pull out a look like the girls in the Balm Instain Cover. I created two looks, first inspired by The Balm Instain - Swiss Dot and the other one was inspired by The Balm Instain - Pinstrip. Guess what? I WON! I was seriously freaked out in happiness back then! Then after all of these, i decided to be a real beauty blogger, by all means i will keep on updating not just with review, but also with Makeup look, DIY and other things to keep my blog alive. I want people to take a benefit of what i post, either it was a review or tutorial, or whatever, i want it to be useful. After a few posts about beauty on my tumblr, i realize that it's gonna be hard for me, since a lot of blogger used blogspot or wordpress where they can easily post a comment and stuff. So i decided to make my tumblr like it always does, as a daily personal blog and made a new blogspot with Bowbowdorable name. Well, my boyfriend gave me the idea for my blog's name. Bowbow = rainbow (I am his rainbow, or so he said) and dorable = adorable. He said it suit my personality, i always change and has so many colors like a rainbow and the adorable thing is because he said I'm adorable. Hahaha, that's where the name came from. But im going to change it as "Rainbowdorable" soon enough, just to make it more easier to pronounce and remember. And now here I am, enjoying my other life as a beauty blogger, a newbie, i know, but at least i start somewhere to be something i like. And in the other hand i can use it as a proof to all of the people who underestimate me, that, once again, I CAN DO IT. I will work hard to make this blog worth reading! Thats it, how and why i became a beauty blogger. I know it's really long and maybe you find it boring, but that's my story and I type every single word with my feeling and memories about it. I need to tell you that I'm happy to be one of beauty blogger in Indonesia. All of the beauty blogger friends I have met are all so kind and humble. It's so easy to interact with them and I'm happy to met them! Improving my social skills is one of many perks of being a beauty blogger. Some perks that I have felt in these several months are; new friends (that's the first perks seriously, I love making new friends even though I'm a bit shy at first), free products (please, I'm no goodie bag hunter, but i conclude free products as a payment from company if they don't give any money. I came to the event need effort and it's surely NOT free), I learned a lot how to write and review a products, and I learned how to make a makeup tutorial! I'm a new beauty blogger, but i can assure you it's not easy and you should be professional, especially when it came to interact with company. Make sure that you're happy and so does the company, respect is a two-way stuff. Hehehe. Just a little note here "beauty blogger is human too, respect us and don't take us for granted". Well, that's all, i guess, it's way TOO MUCH already! Hehehe, enjoy my post! Dont forget to JOIN THE EVENT! Spread it loud, spread it proud! I can't wait until Saturday and meet my blogger friends! I'm going to update you the event later for sure! CHECK OUT MY BLOG SALE! !